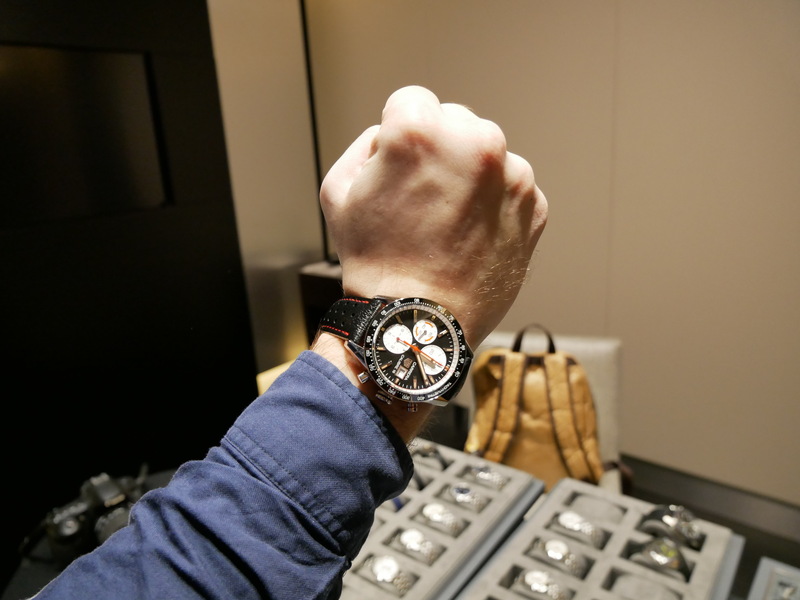 SIHH 2018 is already here, and we are happy to cover some of the interesting models presented there. 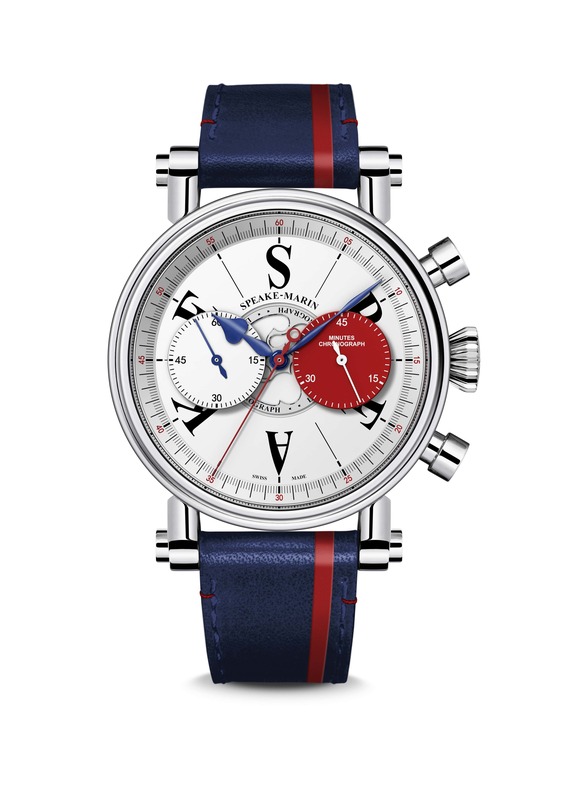 Speake-Marin London Chronograph definitely falls into this group. 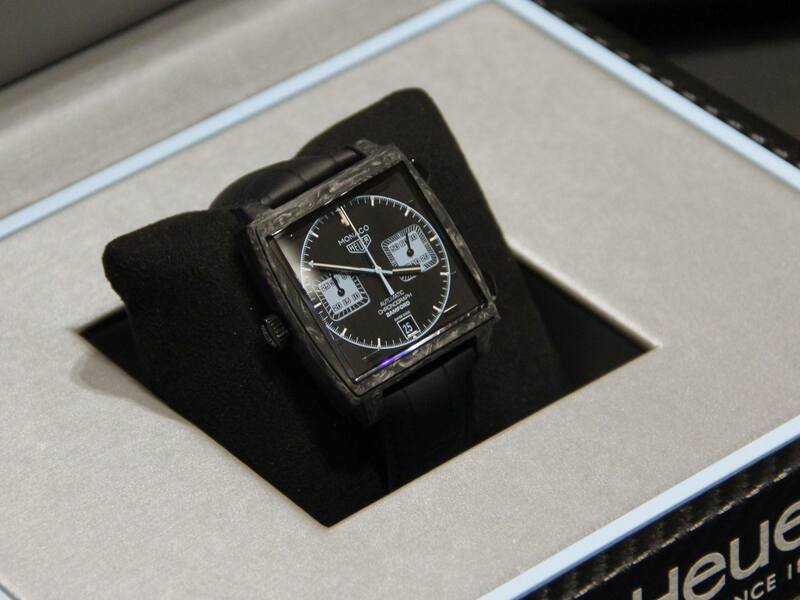 English watchmaker decided to press with chrono dials, but this time there is something special inside. 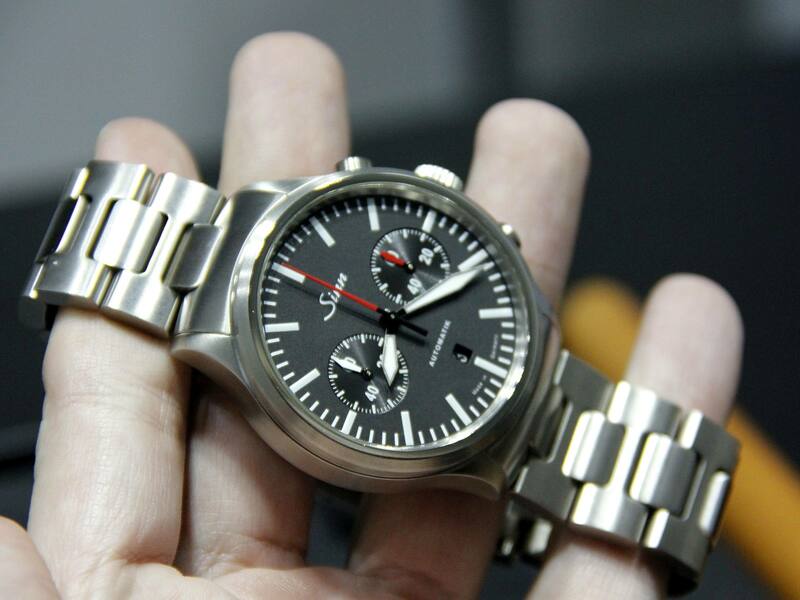 Let’s check why this model is limited to only 15 pieces worldwide. By the way, here you can read about interesting turtle clock from MB&F. 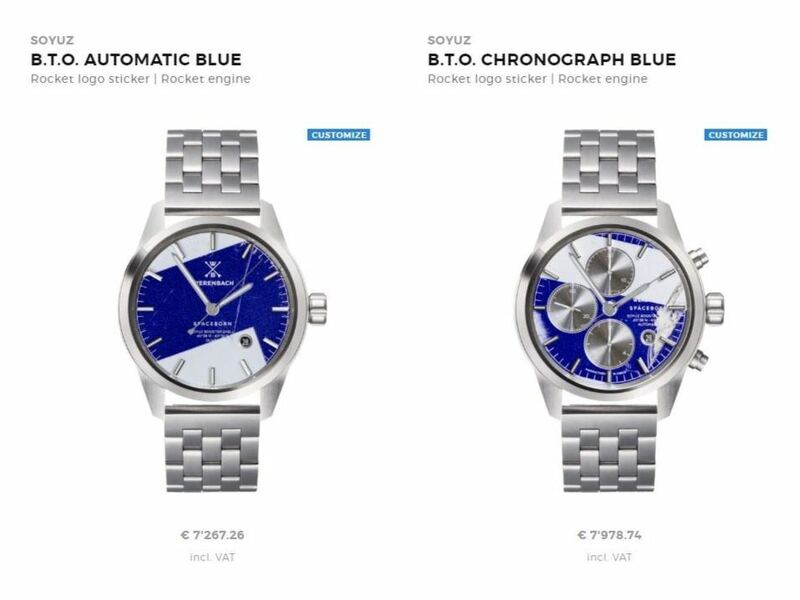 Yes, there will be only 15 watches made, and it is due one interesting reason. Inside nice case future owner will find rare movement. Valjoux 92 calibre is not fresh, and watch fans will definitely agree with this. Nevertheless, such movement is also special and difficult to get today. In other words, new model comes with vintage calibre inside. 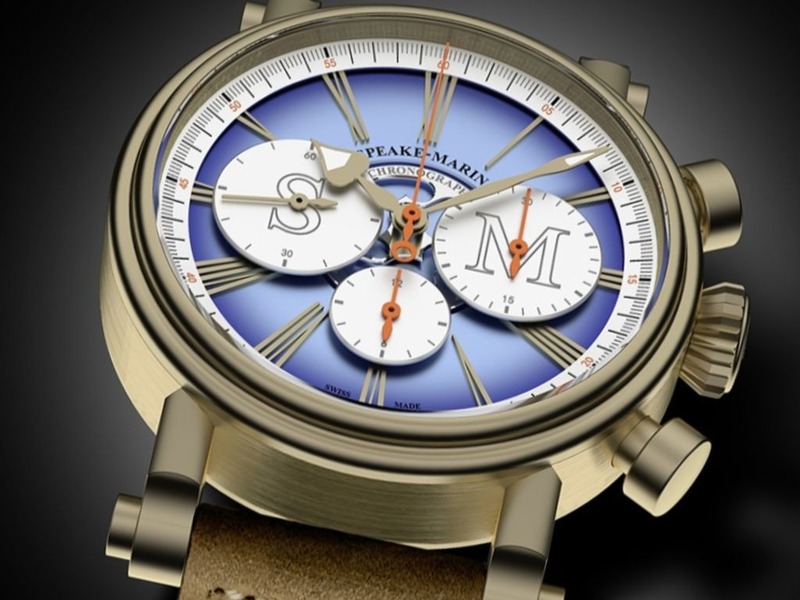 Manufacturer claims that all 15 movements were carefully stored in safe and should work perfectly in the new Speake-Marin London Chronograph. 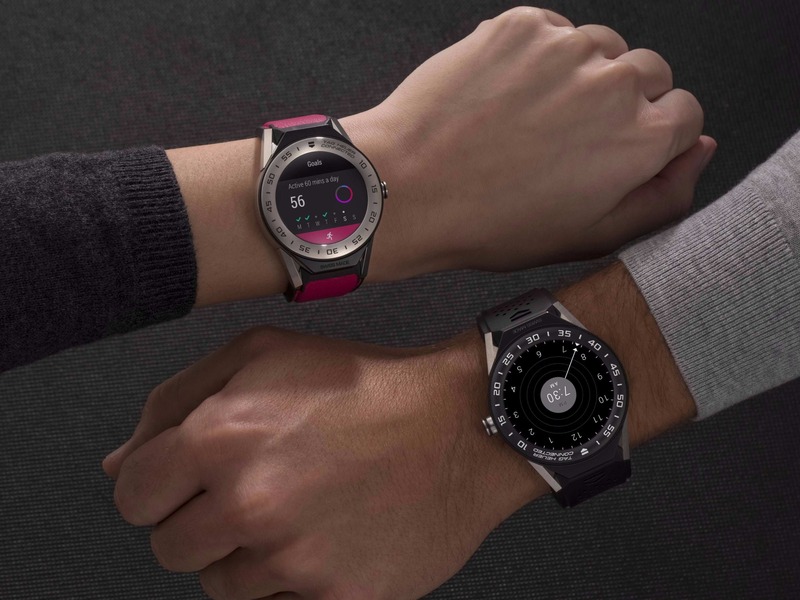 In my opinion that is quite interesting take on new watch. Instead of “all new” approach, we see vintage movement inside. 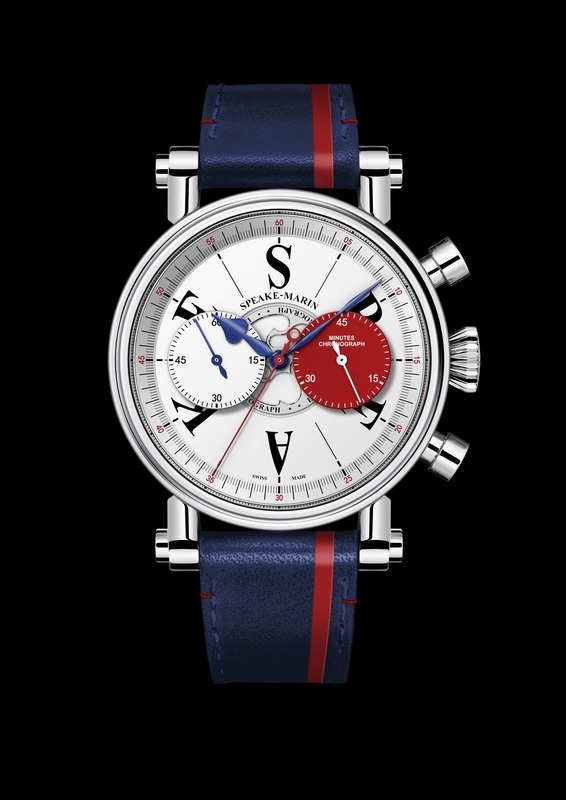 Do not call it old, because there is no such thing with watch calibres, especially rare ones. Appearance here also deserves separate word. As you can see on photos, watchmaker decided to make it more 3D-ish, and there are several layers on one dial. I am sure that such design won’t leave somebody calm. Opinions will definitely divide into two opposites. Well, I like overall idea, but that S-P-E-A-K-E instead of indices… Don’t know, maybe somebody will appreciate such change. Nice color touch comes with bright red dial on the right. Quite an interesting color choice for white-and-blue style. Nevertheless, it works, and I like it. Take a look at the centre of dial, and you will notice rotor, which is shaped in the same style as logo of Speake-Marin. 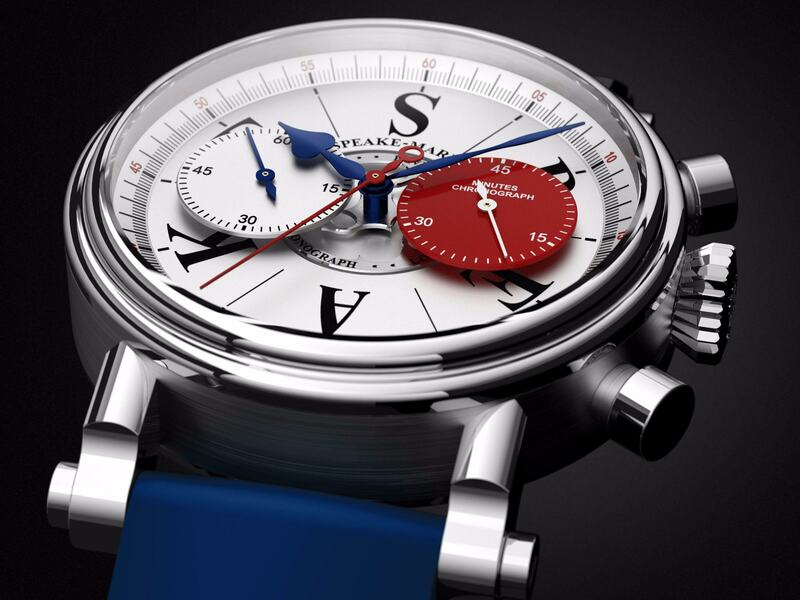 I am quite surprised to see such approach in Speake-Marin London Chronograph. 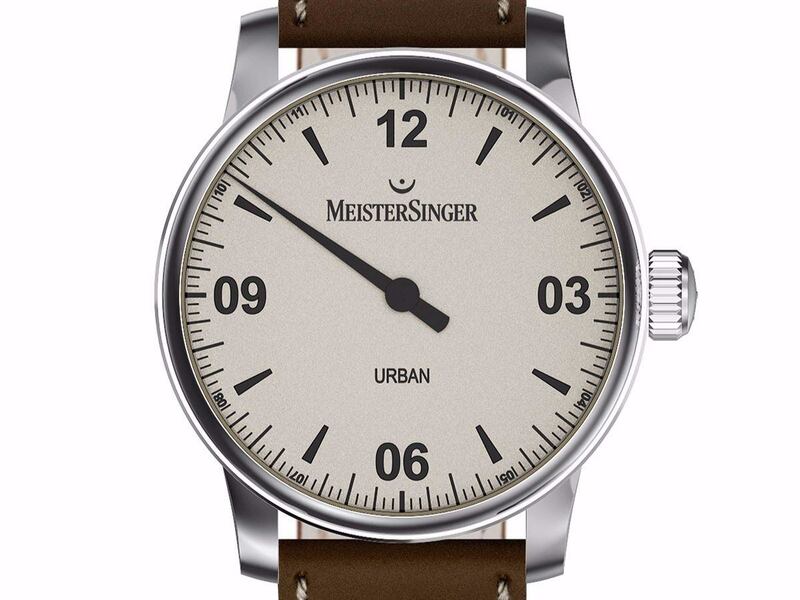 Company claims that they will try to keep on presenting new models with vintage and unique movements. Well, it comes as a nice change from traditional way, and I think that fans will appreciate it. Moreover, such design should bring “more uniqueness”, what should be valued by those who would like to have something special. 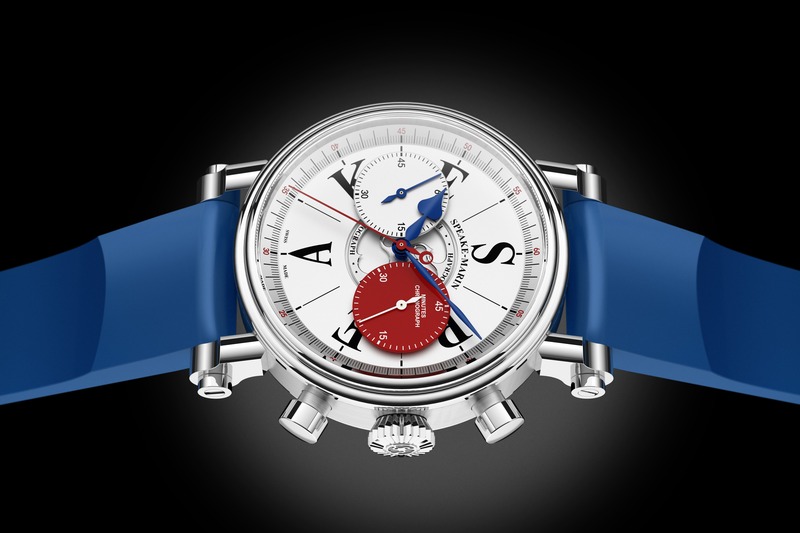 Now we can only guess which movement will be used in the new model from Speake-Marin.